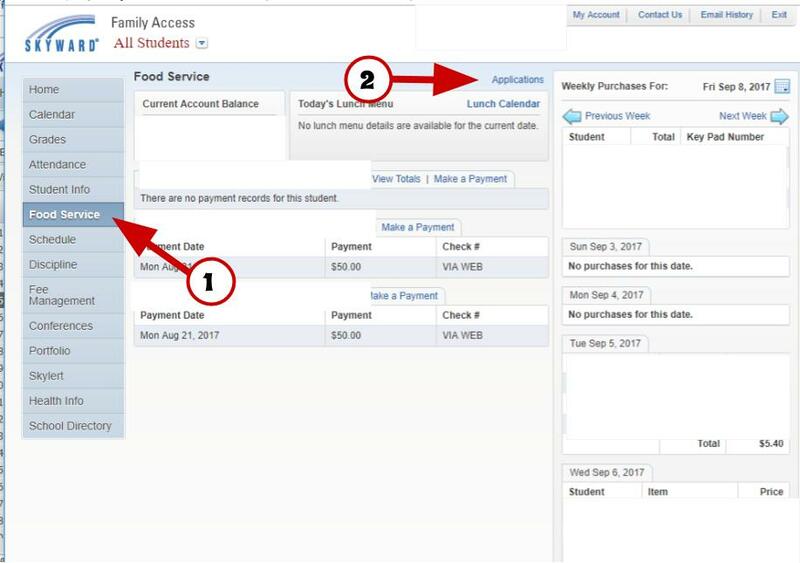 Our Free & Reduced Lunch Application is located within our Skyward Family Access Program. Please login to your Family Access account. Follow the steps below to access that application.